There aren't many packaging companies that have been in business for 150 years. Remy & Geiser is one of those elite few. The well-known German company has worked in the pharmaceutical packaging market, manufacturing solutions that benefit consumers and brands alike. Listening to customers, enhancing its products and developing in line with international regulations keeps the pharma packaging company going from strength to strength. 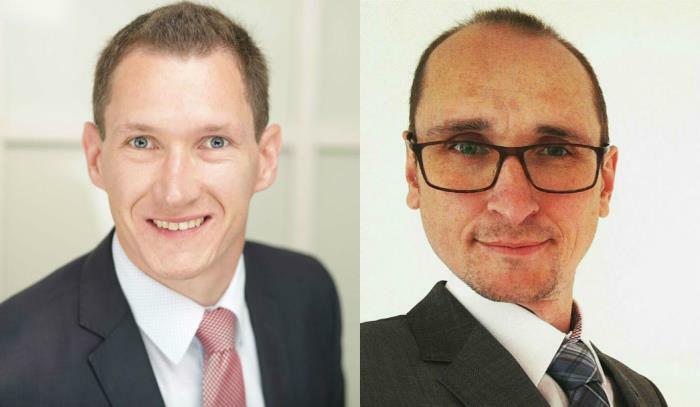 Christian Kohl, Sales Director and Johann Herdt, Key Account Manager - Pharma, highlight how R&G maintains its strong position. What makes R&G stand out as a pharmaceutical packaging manufacturer? Remy & Geiser is a primary packaging manufacturer for the pharmaceutical industry with a strong focus towards closing, sealing, security and dosing. The company provides both its customers and partners with one-stop system solutions - a complete functional and safe packaging solution all from the same source. One of the things that makes R&G stand out as a packaging supplier is its tradition of over 150 years working in the healthcare industry. Our company is deeply involved in the needs and challenges which our customers face, and is always available to assist and offer constructive advice. Because we, at Remy & Geiser, have so much experience within the industry, we have a unique field of knowledge to offer. Is it just the pharma industry that Remy & Geiser targets? Although many markets do overlap allowing the company's products to be used outside, Remy & Geiser is ultimately dedicated and focused on the pharmaceutical and healthcare industry. Well over 90% of the company's production is delivered to customers in the healthcare sector. Products for the healthcare industry must stand up to very high clean levels and specific laws and legislations. For its long history in the industry, Remy & Geiser is a well-known pharmaceutical packaging name both in Germany and worldwide, so it is understandable that companies in other industries that require pharmaceutical-like packaging also know R&G's accredited reputation. Companies reach out to us for packaging and we also target different companies within our primary business field. We don't have one specific "type" of customer. We have 3 locations in Germany - one administrative office for sales and finance, plus two manufacturing sites, both of which are located in Thuringia. It is at the manufacturing sites where we focus on our core competencies. In Hinternah, the focus of our expertise is on plastic molding, and in Altenfeld, it is the manufacture of tubular glass, pipettes and rubber products. Both of our manufacturing sites are certified according to all the relevant Quality System Standards required of a pharmaceutical packaging company, including ISO GMP 15378, the GMP requirement for primary packaging materials for medicinal products which is the European standard. With 150 years of business history, how does R&G continue to grow? This philosophy is at the core of Remy & Geiser and it is the company's approach to these points that makes it attractive to some of the most skilled and motivated personnel as well as engaging the company with pharmaceutical brands. Today at Remy & Geiser, we have a great team of 280 educated and trained staff, state-of-the-art machinery and equipment, a modern production environment and an exceptional Quality System which enables us to serve our customers and partners at the highest level. The size of the company is a great benefit as we are large enough to serve high volumes of standard products, yet we can still maintain a flexibility for customization or new developments with partners. We can manage special requirements and offer reliability through our support of start-up companies that require a supplier, but cannot yet commit to larger volumes. We support those companies with clear potential in order that they can fulfil it. The celebration of R&G's 150th anniversary this year has offered the occasion to reflect. Reflect on the past, the present and the future. In recent times we have built two new production sites that benefit from the latest in molding and assembly conditions, clean rooms and quality control systems. We are fully up-to-date with regulations and still successfully develop and implement new products into the market. What challenges does Remy & Geiser currently face? How do you plan to surmount them? There are challenges from the market itself. Growing requirements for quality and documentation, shifts within the market from one administration to another, to name just a few. Those challenges are no big concern to us as they apply to the whole market and we all develop along these guidelines. We just try to be a little faster than the others. Larger challenges are always those over which you have no influence, or no possiblility to adapt. Political and general economic turbulence, for example; those tasks that you can only manage by being prepared. Flexibility and a global business model are essential to be the least vulnerable to turmoil as possible. Are there any new pharma products Remy & Geiser has in the pipeline? The R&G research and development department is always busy working on new product innovations and enhancing products to make them even better. The company has its own toolshop so that it is possible to adapt very quickly and be flexible on specific customer requirements. At present, we are working very specific customer projects as well as our own innovations whereby we create added value or further improve a product. We are improving child resistance and tamper evident functions and working on revolutionary barrier concepts for closures. This is something that is expected to set new standards within the market, so keep your eyes peeled! 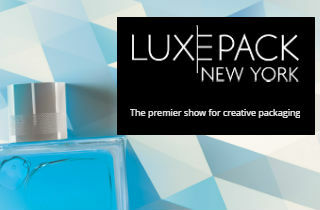 Visitors to pharma packaging exhibitions will be able to see our innovations directly. The CPhI/Innopack exhibitions are important for us to reinforce our maintained presence in the pharma space as well as showing off our latest product innovations and enhancements. We will be in Madrid from 9-11 October this year at the CPhI worldwide event, to speak directly with customers and make new contacts. Details of our booth can be found on our company website, www.remy-geiser.com. Continuous development within the pharmaceutical packaging space is very important to us as a company and it is equally important that we continue a constant exchange with our customers and partners. Co-creation when reacting to new market situations or requirements are the cornerstones for great ideas and one of the key drivers in maintaining R&G's strong position in the pharmaceutical packaging market. To celebrate its 150th anniversary, Remy & Geiser is organizing an open house day at its premises on 22nd September, with a number of special activities. Since 1868 R&G has been offering intelligent and innovative solutions to the pharmaceutical industry. R & G, a leading partner for sealing and dosing systems, tubular and metallurgical glass products for the pharmaceutical industry, celebrates its 150th anniversary in 2018 in the world of packaging. We would like to sincerely thank all our customers, partners and above all our great employees and look forward to further milestones! As part of CPhI, the pharmaceutical trade fair that covers the entire spectrum of the market, Remy & Geiser will be in the InnoPack section in Madrid from 9-11 October 2018, taking advantage of the excellent opportunity to exchange information and inform about its packaging options and product dosing solutions.